Google Earth displays satellite images of varying resolution of the Earth’s surface, allowing users to see things like cities and houses looking perpendicularly down or at an oblique angle, with perspective (see also bird’s eye view). The degree of resolution available is based somewhat on the points of interest and popularity, but most land (except for some islands) is covered in at least 15 meters of resolution. Melbourne, Victoria, Australia; Las Vegas, Nevada; and Cambridge, Cambridgeshire include examples of the highest resolution, at 15 cm (6 inches). 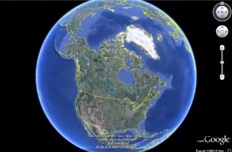 Google Earth allows users to search for addresses for some countries, enter coordinates, or simply use the mouse to browse to a location. 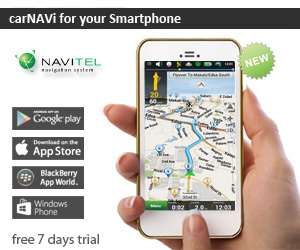 Download this software if you want to overlay recorded tracks from your carNAVi on the Earth’s satellite images. GPSBabel converts waypoints, tracks, and routes between popular GPS receivers and mapping programs. It also has powerful manipulation tools for such data. By flattening the Tower of Babel that the authors of various programs for manipulating GPS data have imposed upon us, it returns to us the ability to freely move our own waypoint data between the programs and hardware we choose to use. It contains extensive data manipulation abilities making it a convenient for server-side processing or as the backend for other tools. It does not convert, transfer, send, or manipulate maps. We process data that may (or may not be) placed on a map, such as waypoints, tracks, and routes. Download this software if you want to transfer recorded tracks or waypoints to other file formats or 3rd party software tools. Active GPX Route Player for Google Earth. The “Media Player” of GPS playback. Simple to use yet endlessly customizable, any number of routes can be played back at the same time. Adjust time, speed scale, viewing behavior, track and icon appearance and watch progress against an altitude profile. Every turn, acceleration and stop is faithfully recreated. Playback GPS and Google Earth KML/KMZ files. Up to 50 routes played back at same time – synced or true time. 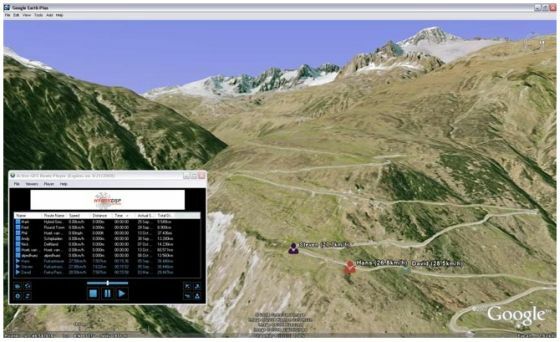 Download Active GPX Route player from the manufacturers website. Visit the GSAK Homepage for downloading this tool.